First Novels Club: Coming Soon... Interviews with Kimberly Derting and Janice Hardy! Coming Soon... Interviews with Kimberly Derting and Janice Hardy! FNC is thrilled to announce not one but TWO upcoming author interviews! 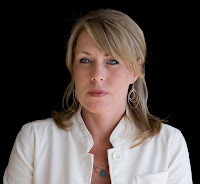 Kimberly Derting is the author of The Body Finder, which will be available on March 16, 2010 from HarperTeen. She's hard at work on her second book, Desires of the Dead. Check out her WEBSITE and BLOG. Janice Hardy is the author of The Shifter (The Pain Merchants in the U.K.), the first book in The Healing Wars series. The Shifter will be available October 6, 2009 from Balzer & Bray, another HarperCollins imprint. Check out Janice's WEBSITE, author BLOG, and Healing Wars BLOG. Woot I am SO excited for these! I've been following Janice's blog for awhile and just discovered Kimberly and I'm already hooked!